221 Palm Dr #2, Naples, FL.| MLS# 219012611 | Southwest Florida Residential Real Estate for Sale. TRANQUIL LAKE AND GOLF VIEWS FROM YOUR living room and lanai. WAITING FOR YOUR TOUCHES! A second floor 2-bedroom, 2-bath condo; enjoy the benefits of entering on a private stairway, split bedrooms, master suite with dual sinks & walk-in closet and impact resistant windows and sliders. Walk onto your lanai from the Master Bedroom and the Living Room to have your morning coffee. Maintenance $636 per month. 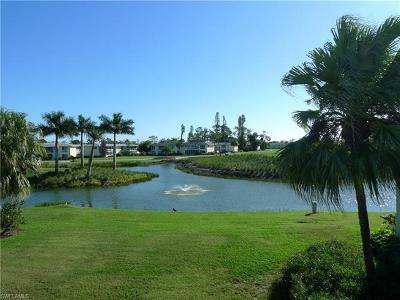 An active community, The Glades Country Club offers two newly re-modeled golf courses, a par 70 and a par 55, a pro-shop, tennis and bocce courts, nine resort-style pools; all within two miles to the sugar sand beaches of Naples, FLorida. The 19th Hole restaurant has dining in-house, at the bar and Al Fresco on the patio. Refresh beside the pools, water features, verdant fairways and beautiful coconut palms. Come be part of the Naples lifestyle and its world-class fine dining, shopping, galleries, live theater, and the great outdoors for boating, water sports, fishing and sailing.